Explore the waterways of the Magic City like a rock Star! You will enjoy a Private Charter cruising on a 48′ yacht from Miami Beach. Discover Star Island, surrounding Islands. and Millionaires ‘row. Relax in the sun and cruise around Biscayne Bay with your personal captain. Enjoy an unforgettable VIP experience for Half of your time booked! After the cruising, we will anchor the yacht for the 2nd half of your package and the back platform will become your private Watersports Beach Club! 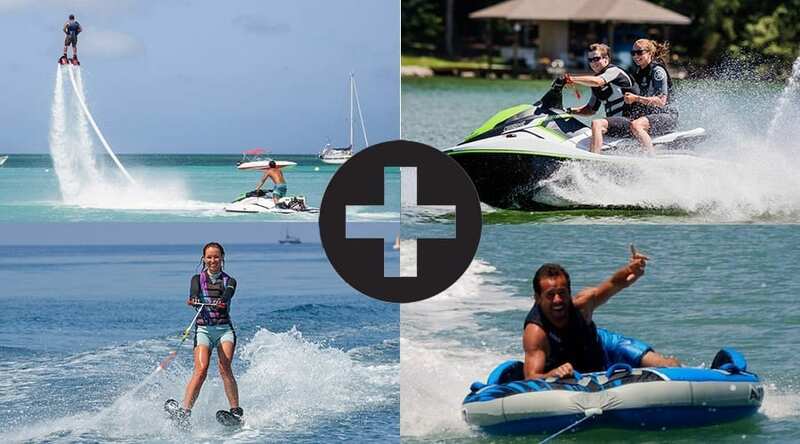 We will bring you a Jet Ski to ride on, kayaks and SUPs. You will also have a Flyboard with a flyboard instructor so you can fly like Ironman! There are local regulations for Jet Ski and Fly board so please make sure you read the “Good to know” section. Book a Yacht Charter + Watersport Package!